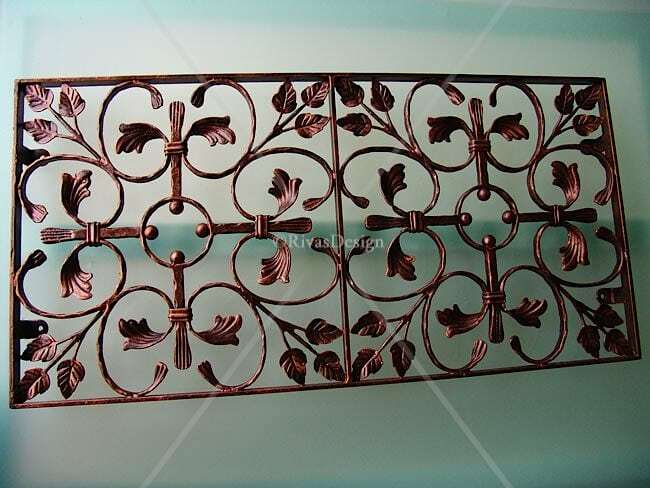 This detailed trellis combines leaf scrolls clipped to stems and rose leafed corners. 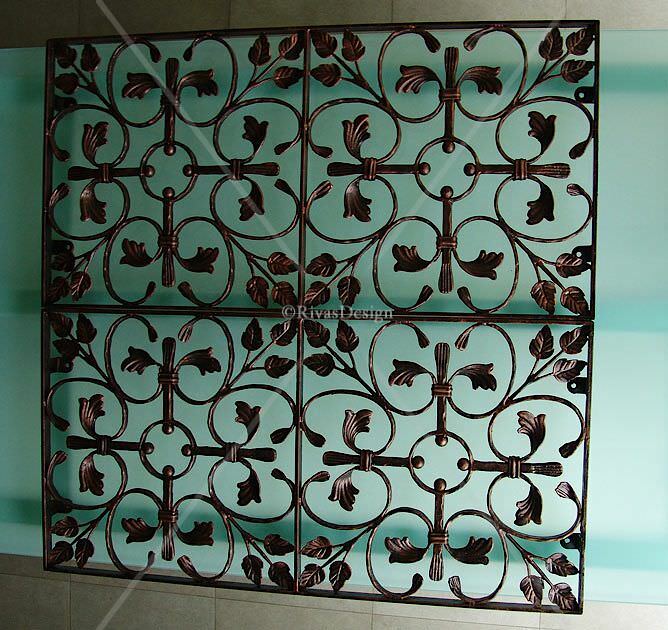 Works as one individual trellis or as multiples where the repeat design works on long walls. 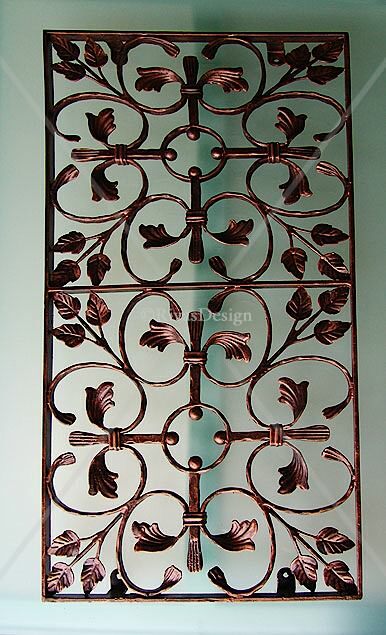 Made individually in solid wrought iron and hot dip galvanised so it always looks good outdoors. Hand finished in black or black brushed with copper. 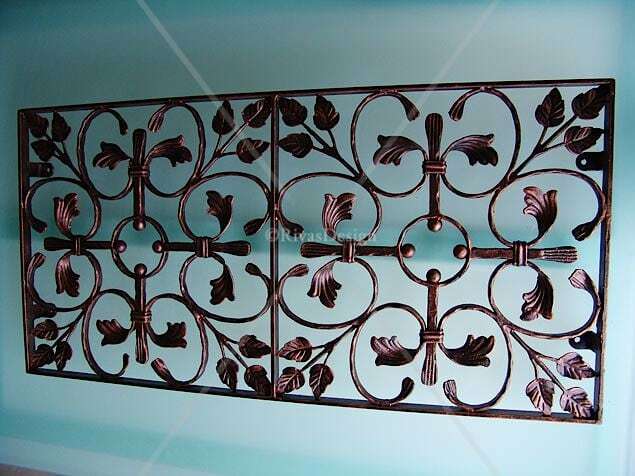 This trellis will give your walls immediate style. Delivered Australia wide – ready to hang | Sydney| Brisbane | Melbourne | Adelaide | Perth.